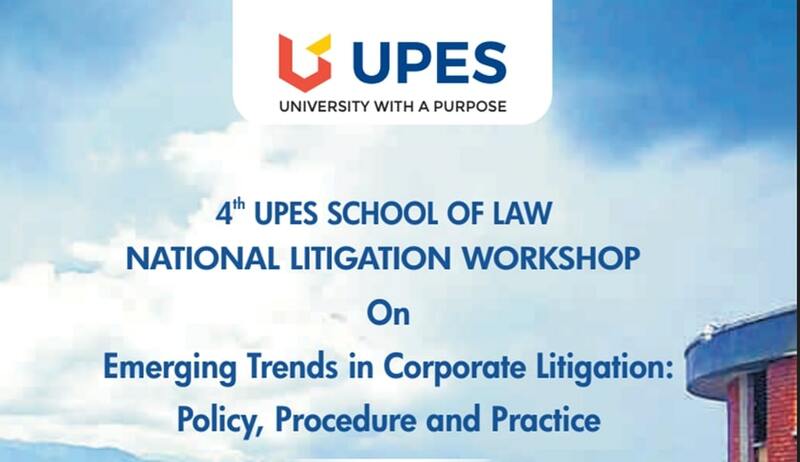 School of Law, University of Petroleum and Energy Studies, will hold workshop UPES’ 4th National Litigation Workshop on Emerging Trends in Corporate Litigation. This workshop seeks to be a platform to deliberate upon and discuss the policy, procedure and practice in Corporate Litigation. The sessions would include an overview of policy, procedure and practice of corporate litigation in general and corporate litigation in key areas of contracts, competition law, intellectual property rights, cyber laws and taxation. Shubham Bhati (+919116630600), or Email at 4solnlw@gmail.com, or ssinha@ddn.upes.ac.in.